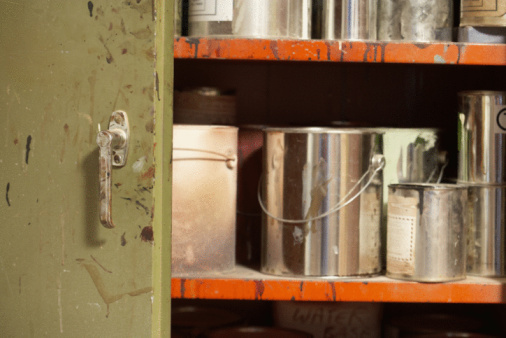 Organic materials are generally not great canvases for paint because they deteriorate over time. If you want to paint on dried flowers, you have the added difficulty of the potential for brittleness which can lead to surface damage during the application process. Fortunately, there is something you can do to prepare the dried flowers for the process. This procedure won't only condition the flowers to accept paint, it will help them last for much longer periods of time. Lay the flowers on top of a heavy-duty fabric drop cloth. Apply a light coat of spray primer to the dried flowers. Do not over-apply, but merely dust the flowers. Allow the flowers to dry for two full hours. Apply paint to the dried flowers in the colors and patterns you find pleasing to the eye.